Antonio Mihajlov is the president of the Steering Board and one of the founders of Subversive Front. 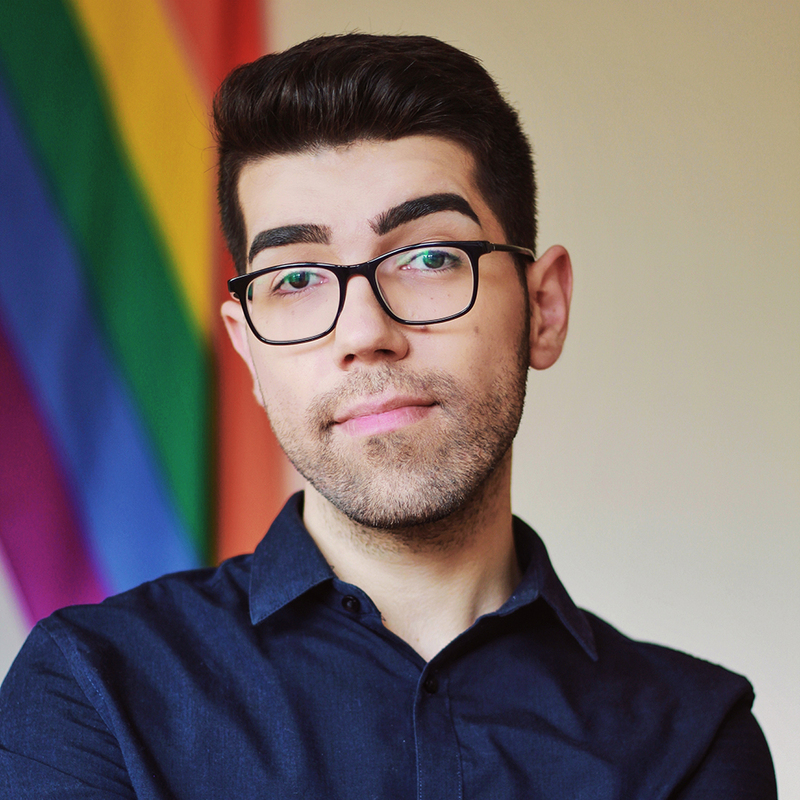 Before he became an LGBTI activist, Antonio worked within the software sales and marketing industry in Norway, and internet marketing in Belgium and Finland. Antonio’s responsibilities in S-Front include providing a strategic direction of the organization’s development, ensuring the implementation of the organization’s programmes in alignment with the organization’s mission, vision, and strategic goals and through the 5 key strategic areas. His university background is in e-business management, project management, marketing communications and organizational development. His interests are advocacy on LGBTI rights, education, and training on gender and sexuality, as well as research on LGBTI topics. Antonio can be reached at amihajlov@s-front.org.mk or directly at the office of Subversive Front at Blvd. „K. J. Pitu” br. 19-5/28, in Skopje, Macedonia. Viktorija Bondikjova, External Consultant at Subversive Front, holds a bachelor’s degree in psychology from the Faculty of Philosophy at the “Ss. Cyril and Methodious University” in Skopje. As a youth worker, she possesses numerous volunteering experiences in the field of youth education, gender rights and gender democracy on national and international level as a certified peer educator for gender equality. She has been working on projects in several organizations in the civic sector, while taking advantage of community psychology in order to create positive changes in relation to LGBTI issues. Her work is focused on 2 out of 5 strategic fields in the organization: research and policies on LGBTI issues, training and education on gender and sexuality, and contributes to the organizational development through implementation of positive HR practices. Viktorija can be reached at vbondikjova@s-front.org.mk or directly at the office of Subversive Front at blvd. „K. J. Pitu” br. 19-5/28, in Skopje, Macedonia. 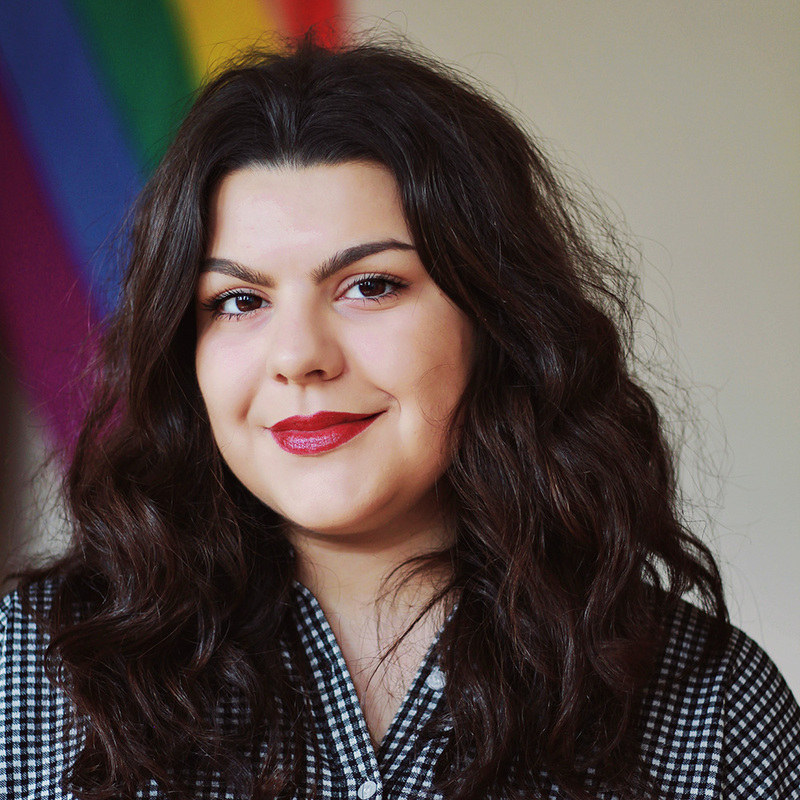 Angelina Ivanova, joined Subversive Front in April 2016, first as a volunteer, and since September 2016 as a programme coordinator with main responsibility – institutional development of the organisation. She is in her final year of her studies at the Faculty of Computer Science and Engineering. 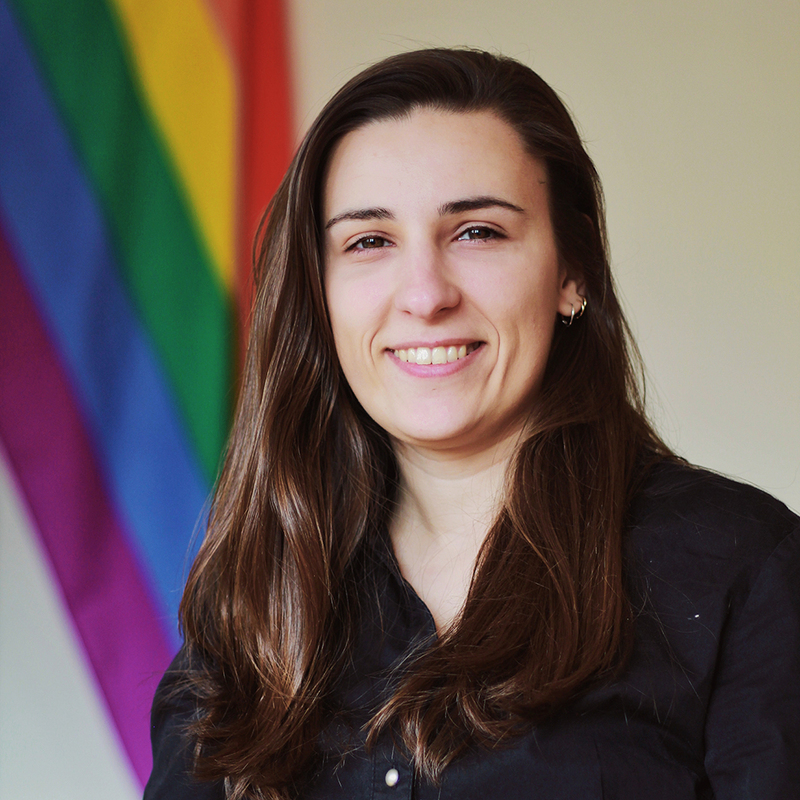 Her activism began in 2014 when she participated in the Gay Games in Cleveland, USA, where she was the first and so far the only Macedonian participant. Since then she grew to a dedicated human rights defender of LGBTI people in Macedonia and has participated in several projects conducted in Macedonia and the Balkans. Contact Angelina at aivanova@s-front.org.mk or directly in the office of Subversive Front blvd. „K. J. Pitu” br. 19-5/28 in Skopje, Macedonia. Stefan Petrovski is a Project Coordinator and Communications Officer at Subversive Front. He began his voluntary work with Subversive Front in July 2017, and from March 2018 he began officially working there. Before starting with LGBTI activism, Stefan was an active volunteer on a local and national level. From his early years, he began his journey in the world of volunteering by participating in projects that strengthened the capacity of young people in the fields of lobbying and advocacy, international relations, human rights, photography, and videography. 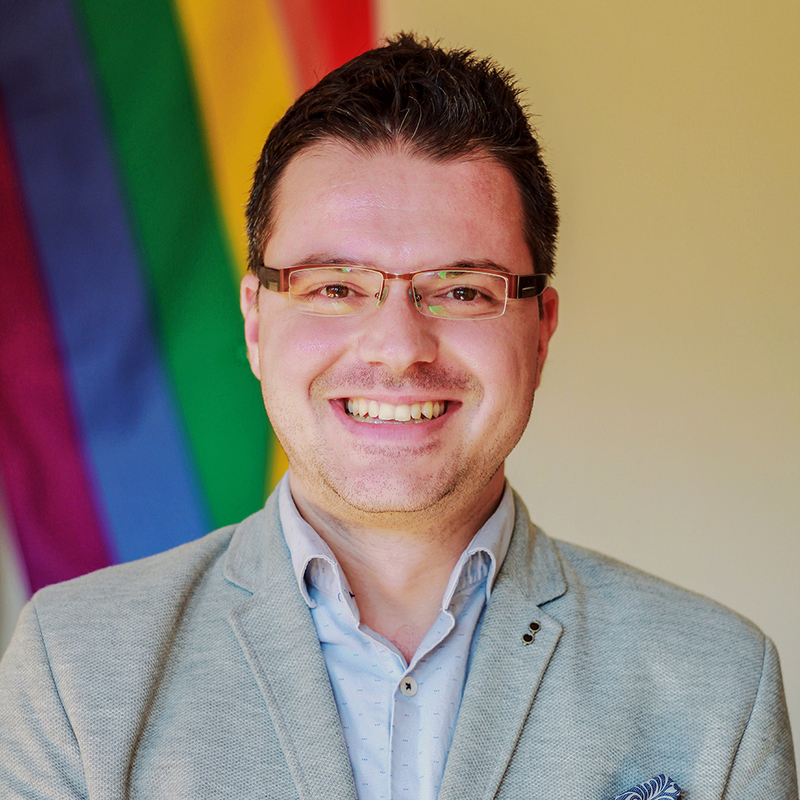 For 8 years he has been active in Model United Nations in Macedonia, a leadership summer camp for young people, the No Hate Speech Movement on a European and national level, and he is a peer-to educator for Comprehensive Sexuality Education. At the moment he is a student of English Language at Literature at the “Blazhe Koneski” Faculty in Skopje and has studied at the University of Utah through the Global UGRAD program in 2017 – of which he is one of the honor students. His field of study and research is focused on gender, sexuality, and ethnicity in literature and linguistics – which he seeks to pursue as a theme in his graduate and doctoral studies. Kristefer Stojanovski, MPH is a PhD candidate in health behavior and health education at the University of Michigan. 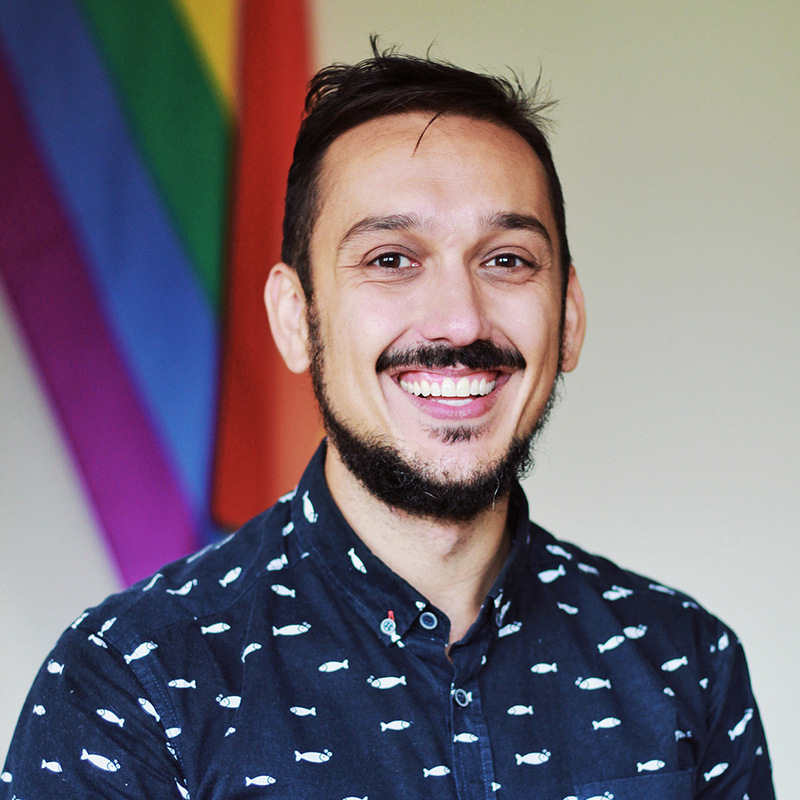 Kristefer has extensive experience in public and mental health research in Southeastern Europe working with sexual and gender minorities, as well as Roma communities. He has worked with Subversive Front since the beginning of the organization. Kristefer develops and supports research initiatives to assist the organization in ensuring that data-driven and evidence-based approach is at the forefront of strategies including programming, services, advocacy, and support in policy. Kristefer is a former Fulbright grantee to Macedonia. Kristefer can be reached at kristefers@gmail.com.